Members of the ADEA House of Delegates will vote for the Chair-elect of the ADEA Board of Directors at the 2017 ADEA Annual Session & Exhibition in Long Beach, CA. 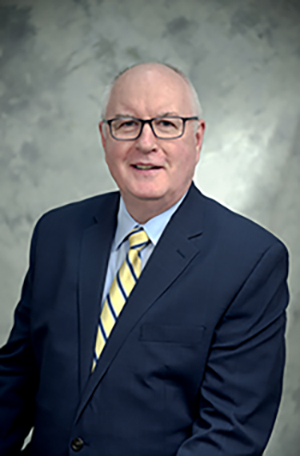 The ADEA Board of Directors has accepted the recommendations of the ADEA Nominating Committee and slated as the candidate for the 2017–18 ADEA Chair-elect of the Board R. Lamont “Monty” MacNeil, D.D.S., Cert. Perio., M.Dent.Sc. See below for his personal statement. I am honored to be nominated for the position of 2017 Chair-elect of the ADEA Board of Directors. I can think of no more important time for ADEA to be actively engaged across North America at all levels. I am involved with a number of organizations but none is quite like this one. ADEA is a forward-thinking organization, one that strives to improve the current condition while embracing the challenges and opportunities of the future. ADEA seeks answers and solutions and, when necessary, tackles tough problems that others might prefer to leave unquestioned. This is reflected in the themes of our Annual Sessions: 2017 “Beyond Boundaries” and 2016 “Shaping Tomorrow, Together.” More importantly, it seems part of our Association’s DNA, and something we must ensure is translated and expressed in all of our activities. It’s this spirit that has held and captivated me as a member of AADS/ADEA since 1994 and that now motivates me to do more. Having served on the ADEA Board of Directors for several years, I view the position of Chair as a conduit between two pillars—our over 20,000 members and a remarkably talented staff and resident leadership in our Washington, DC office. This triad—members, board and staff—is what makes ADEA work and sets our GPS. The Chair has three principal responsibilities: to ensure that every member’s voice is heard and respected, to purposefully pursue the stated goals and initiatives endorsed by the membership, and to impart measured influence on the Association to pursue new paths—to nudge the wheel, so to speak—either in parallel with current initiatives or in future planning. ADEA members are its core strength. The diversity of focus—spanning from student, to resident/fellow, to corporate colleague, to faculty in dental hygiene, dental assisting, other allied, D.M.D./D.D.S., and advanced education programs—provides us with a tremendous breadth of knowledge, ability and perspective. It is incumbent on all of us to tap into this collective talent as our journey unfolds. I’m heartened by the increased collaboration between the seven ADEA Councils and the interactions we are seeing at all levels of the organization. We need to foster and grow this further. The ADEA Strategic Directions and Key Priorities and ADEA’s 10 Strategic Initiatives described by ADEA in 2015–2016 are our roadmap forward. It’s a plan that has the potential to impact almost every aspect of our Association, addressing such important areas as growing our advocacy capacity, expanding our professional development portfolio, nurturing student interest, and increasing our global impact through heightened interaction with our neighbors and international colleagues in dental education. We need to ensure that these efforts are properly resourced, measured, evaluated and, when necessary, retargeted. There are several additional directions that I'm passionate about and that I hope we might address together. The time has come for us to develop a consensus and greater clarity on our vision for the role of oral health professionals in the emerging primary care team. It’s imperative that we define this before others do it for us or, worse, leave us out of the equation. We also need to refocus our attention on the issues of future faculty, ways to increase interest in academic careers, aligned with the overarching obligation to grow our research and scholarly capacities as members of the university community. I would encourage the appointment of a task force to reexamine our conceptual framework for competency and the methods we employ in its assessment. Finally, let’s continue our important efforts, aligned with other organizations, to achieve needed reform in dental licensure. I know we have the necessary talent, energy and willpower to do this. I have witnessed no other group that conducts itself in such a collegial, civil, honest, self-reflective and nonstratified manner. ADEA is a place where every member, whether new instructor or past university president, is treated equally and respectfully. This is a culture we must preserve and celebrate and if chosen by you for Chair-elect, I will make this my priority. A brief biosketch of my ADEA-related activities is provided below. Thank you and I look forward to working with you in the journey ahead. Biosketch: I have been a member of AADS/ADEA since 1994. For the past 10 years I have been the Dean of the University of Connecticut School of Dental Medicine (UConn SDM), serving for the eight years prior as Associate Dean for Academic Affairs. I have held faculty positions at four great schools: Dalhousie University Faculty of Dentistry, Indiana University School of Dentistry, University of Michigan School of Dentistry, and UConn SDM. My service as an ADEA member includes the following: ad hoc reviewer for the Journal of Dental Education since 2001; Secretary and Chair-elect of the Section on Academic Affairs (2005–2006); member and then Chair of the Joint Commission on National Dental Examinations (JCNDE) (2001–2005); member of the ADEA Annual Session & Exhibition Planning Committee (2009–2012); administrative board member and then Chair of the ADEA Council of Deans (2010–2014); member of the ADEA Task Force on the Education of Oral Health Professionals in Emerging Workforce Models (2010–2011); member of the ADEA/ADA Licensure Task Force (2016); participant in the 2016 Interprofessional Education Collaborative; and ADEA Board Director for Deans (2015–present). Published on January 11, 2017.